Please find below a selection of free 3D Sketchup models that I have created. You are free to use and modify these models in your own scenes on the condition that you agree not to redistribute or sell then without my consent. 3D Modelling page or contact me for further information and a quote. A selection of my commercial models can be found for sale via Turbosquid.com. 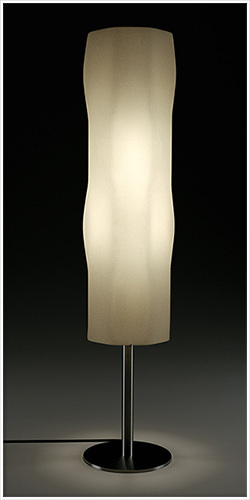 A contemporary standard lamp inspired by various different lighting concepts. The model was created using Sketchup and can be downloaded below or via the Google 3D Warehouse. 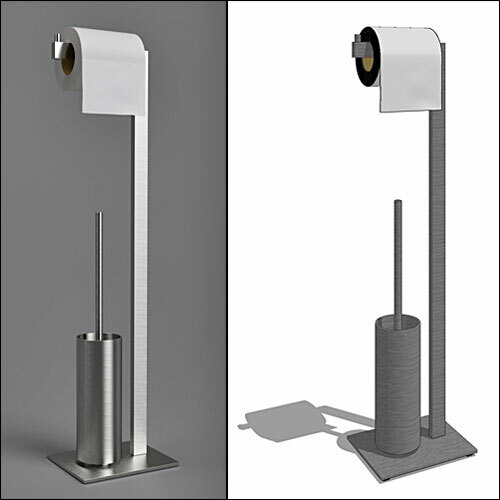 The model is also available as a render-ready Thea Render model pack and Obj format. 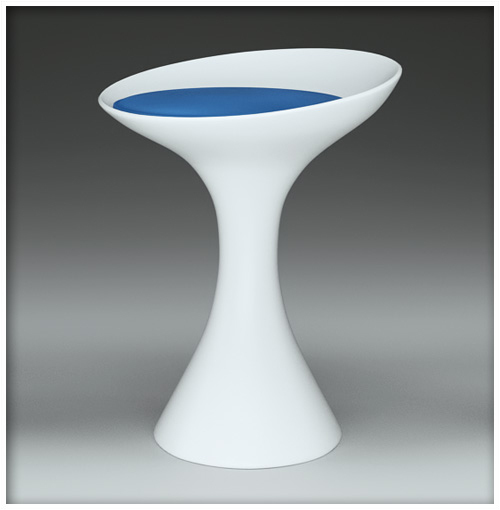 Contemporary stool/table designed by Mario Ferrarini for Living Divani. The model was created using Sketchup and can be downloaded via the Google 3D Warehouse. Alternatively you can download a textured version below. The model is also available as a render-ready Thea Render component. Contemporary coffee table by furniture manufacturer Venjakob - model 4423. 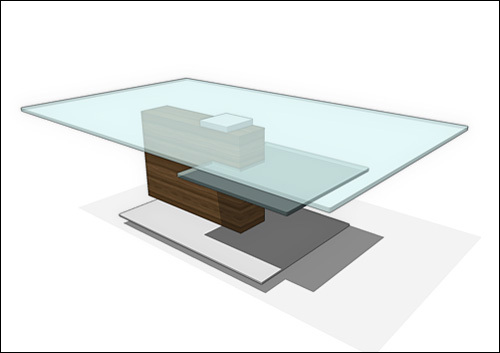 The model was created using Sketchup and can be downloaded via the Google 3D Warehouse, or downloaded directly below. The table is also available as a render-ready Thea Render scene component. 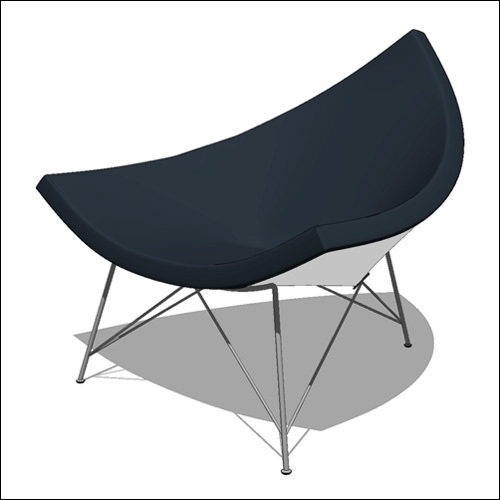 High-poly Sketchup model of the iconic 'Coconut Chair' by George Nelson. Tutorial: The Google 3D Warehouse version of this Sketchup model features scenes containing all the modelling stages for this armchair. This includes the proxy shapes that are subdivided using the Artisan plugin to create the final organic forms of the chair. The below download link is for the chair only, but unlike the 3D Warehouse version it is properly UV mapped and textured. Stainless Steel 'Toilet Butler' by Zack from their Linea range. Please find below links for downloading my Sketchup model and a Thea model pack. The usual terms apply to downloading and using this model. The model of this contemporary home is based on "Villa PM" by the Sicilian studio Architrend Architecture. It was created using Sketchup to accompany my tutorial on seamless textures and creating Thea Render materials. The model can be downloaded via the Google 3D Warehouse, or downloaded directly below. The villa is also available as a render-ready Thea Render scene. Please Note: One or more textures in these 3D models have been created with images from CGTextures.com. These images may not be redistributed by default, please visit CGTextures.com for more information.